Almost a year ago, I was preparing to attend my sister-in-law’s ocean-themed bridal shower and thought I’d make seashell shaped chocolate treats from a mold I found at AC Moore. The motivation and/or time never materialized and I found myself with a ton of 1lb. bags of melting chocolate. Much to my husband’s frustration, I tossed them in the freezer and forgot about them. Fast forward to this month. I ran over to Target to pick up a can of black beans or some tostito chips or maybe a pair of shoes (no, I was a good girl. No new shoes for me) and happened to pass the dollar bin. Target, genius marketers that they are, has the dollar bin right at the front of the store. You can’t miss it when you wander in! 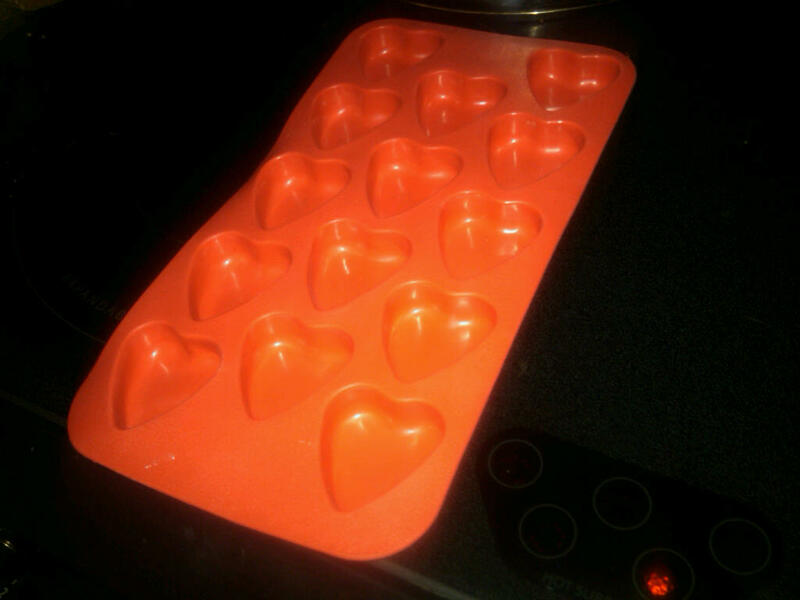 I found these adorable little ice cube trays and figured I could do something with them. Hey, they were only a dollar anyway. So I bought two. Of course. 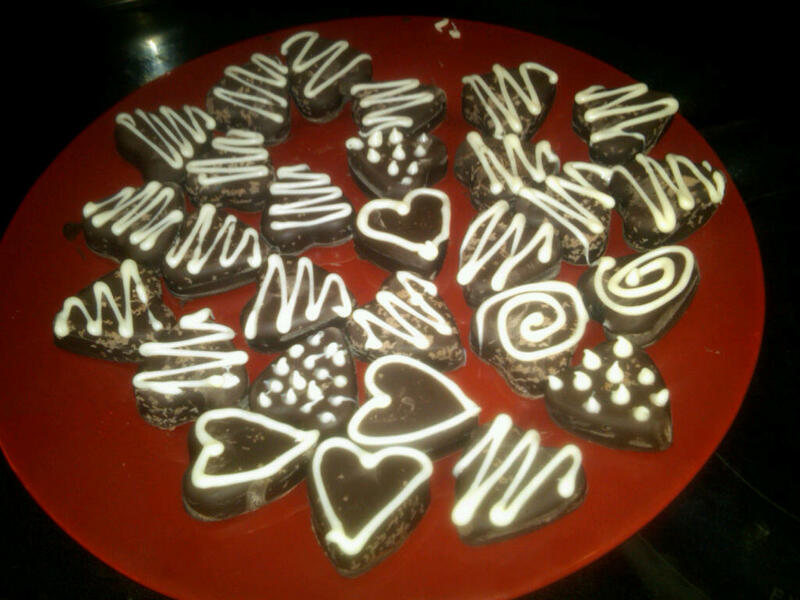 At some point along the way, I had the bright idea to make Valentine’s Day chocolate treats for the students in my advisory at school. 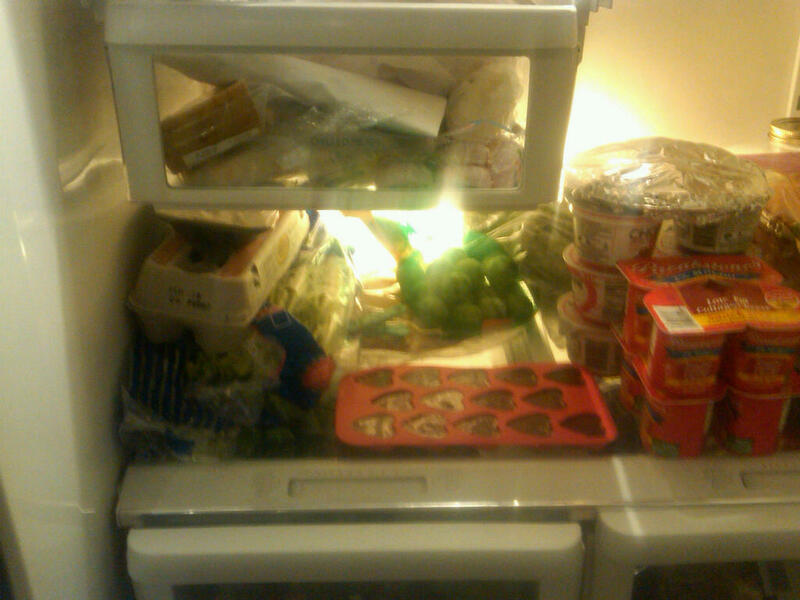 I figured my husband would be happy that I was cleaning out the freezer and the kids would stop complaining that we never have any parties. When I got home, I took a couple bags out of the freezer and tossed them in my makeshift double boiler. I’m into gadgets but I hate to have something taking up a bunch of space unnecessarily and a double boiler is just that. Besides, my contraption works just fine. It took a while for them to melt, them being frozen and all. 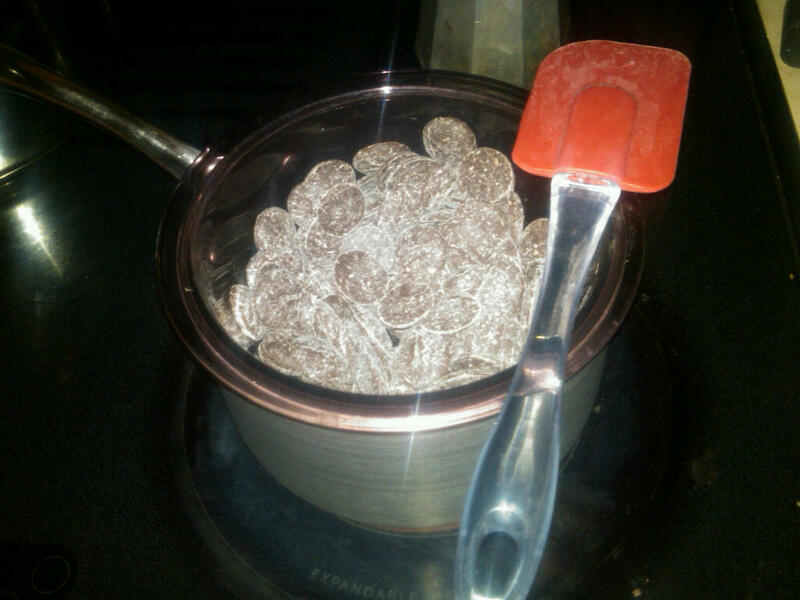 I probably could have microwaved them, but there’s something cathartic about melting chocolate over the stove. No? Maybe it’s just me. Check this out though! Yum. 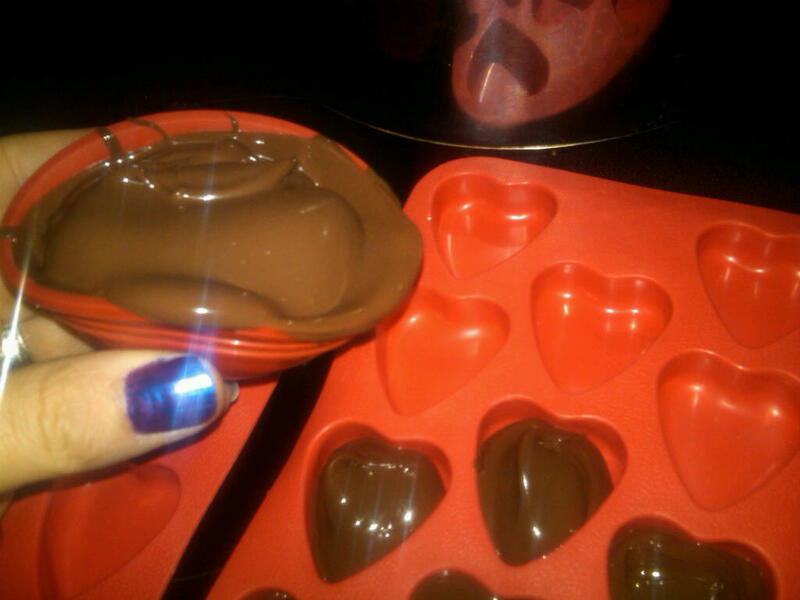 When it finally melted, I realized that I didn’t have a plan on how to get the chocolate into the little molds. I ended up spooning some chocolate into one of these Le Creuset silicone “pinch” bowls that is just adorable (I love little things) and then pouring it into the mold. It worked quite well. Oh right. Please excuse my ungodly purple nails. I filled the two silicone molds, tapped them to get rid of the bubbles and then tossed them in the fridge, somewhere between the key limes and individual cottage cheeses, to chill for 15 minutes according to the directions. At this point, I had at least half a bowl of melted chocolate sitting in front of me. As I pondered what to do with them, I considered my options. Chocolate covered fruit? Nah, don’t have the right fruit. Oooh, chocolate dipped pretzels? Nope, don’t have them either. 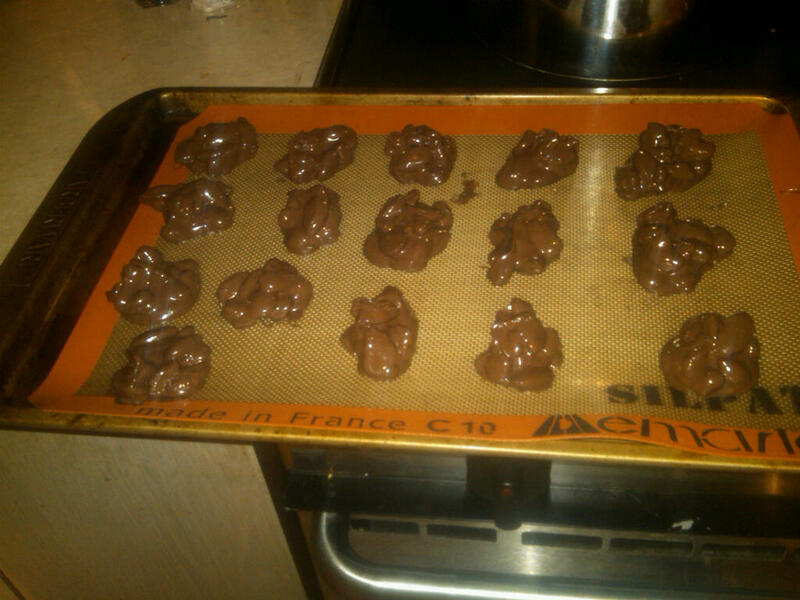 As I scanned my cabinets, I zeroed in on the walnut halves and thought I’d make chocolate walnut clusters. How exciting! I mixed in the walnuts and realized that this had to be much nuttier than it was. I pulled the bag of almonds from the top shelf and tossed a few handful into the chocolate. Slowly, things started to come together. 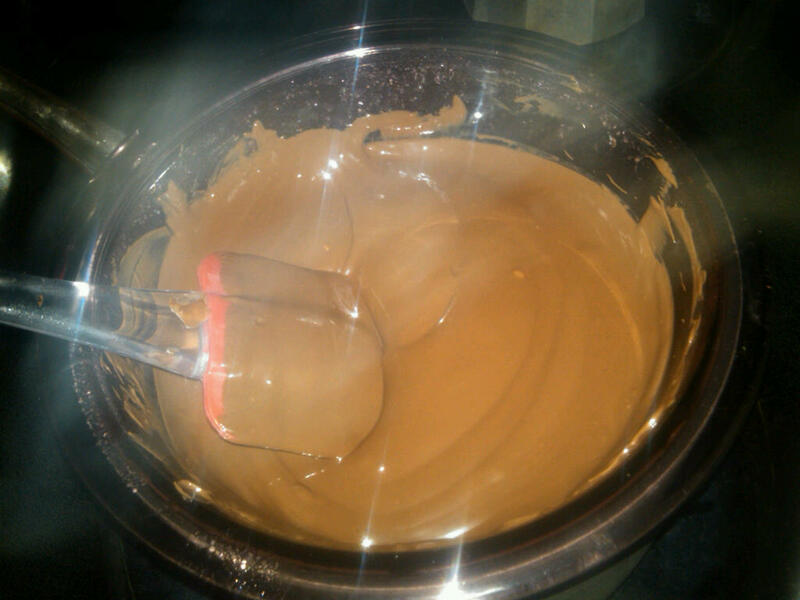 I took a spoon and dished out plops of the mixture onto my silpat. I somehow managed to find a relatively flat space to prop the baking sheet inside my fridge and pulled out the molds. As I popped each chocolate out of its individual heart, I got progressively more disappointed. These looked like crap! If anyone can shed some light as to why they have all that weird-looking discoloration, I’d love to hear. I’m sure I can google it but it’s not really that important to me. I gazed at the chocolates, wondering how to fix them and then I remembered–I had white chocolate too! I melted some white chocolate down into the decorating tube and went to town! Now doesn’t that look better? I fancied up the nut clusters too–why the hell not? 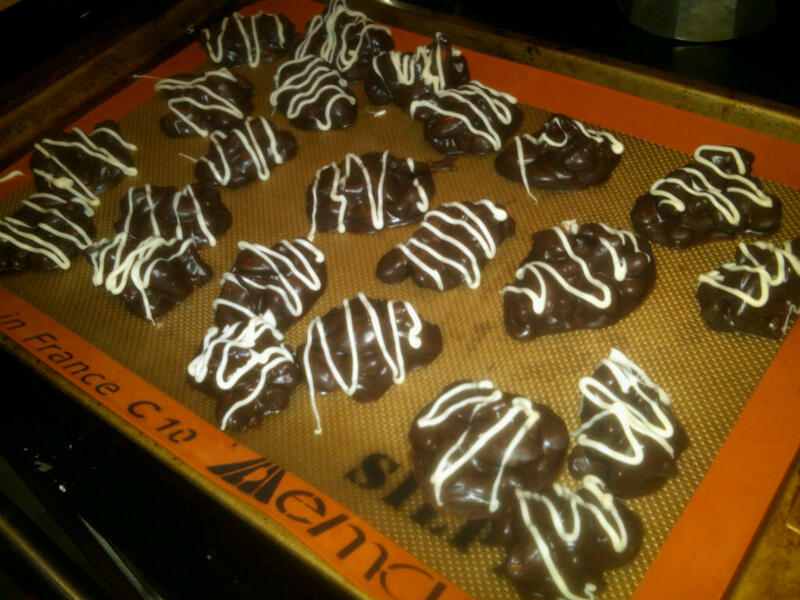 The clusters came out really tasty, if I can say so myself. It was fun having two different types of nuts in there, each of which has its unique flavor and consistency. The candies, well, I didn’t taste them but my advisory sure tore them up the next day. I guess they were good! Now that I’m a budding chocolatier now and all, I recognize two things. 1. Chocolate making isn’t as intimidating as it seems. 2. Fancy chocolate making is probably pretty hard. I’ll never know though, and that’s just fine with me. The discoloration is what typically happens to old chocolate…. I’ve had that discoloration happen to me more than a few times, and I don’t really know why, but I always keep one tray in the fridge and let one sit out on the counter. I forget which way it generally works better for me, because frankly, there hasn’t been a Harry Potter release recently. I’ve noticed the discoloration happens when the chocolate isn’t tempered correctly or old… I also recommend adding a little lard or shorting to help set the melting chocolates when making candies. I love these! They’re so cute! When me and my sister were younger we use to make our own chocolate lollipops with different colored chocolate and I remember the hardest part of the entire thing was getting the chocolate to set and actually look edible when they were done so I can understand your frustration with the chocolates looking like crap once they’re set. However! Once you decorated them they looked really good. I never added anything to the chocolate like nuts partially because I’m not a fan of nuts but I wonder how the chocolate would turn out if you tried to make a turtle type of chocolate, with caramel and nuts in the chocolate. Maybe one day you should try and see how it comes out, or maybe I’ll try and show you how it comes out. 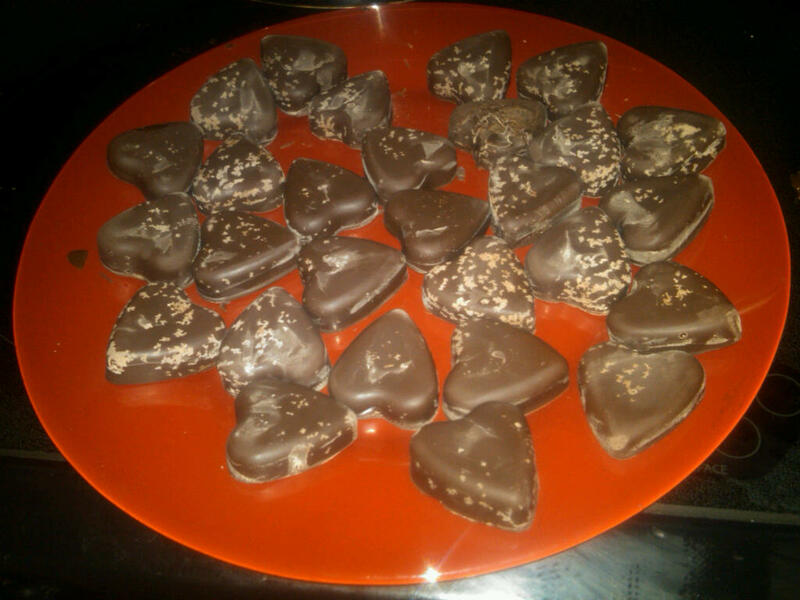 And by the way, Heart shaped chocolates… Good call.